As he is popularly called ''the bulldozer'' due to his road building programme and ruggedness in sanitizing Tanzania, in his first day as the president a year ago, he created a storm on social media by making an unannounced visit to the finance ministry, catching the workers off-guard. He also visited the public hospital and immediately cleanse the rottenness he met on ground, he unlike his counterpart in Nigeria, did not dwell on bad governance and corruption crated by previous government, instead he folded his sleeve and start working by making major changes in doing government business he voluntary presented himself and accepted. When he visited the finance ministry, he asked after those who were not at their desks - a subtle message that he would not tolerate the legendary absenteeism of government workers. He said he was keen to ensure that the government would have enough money to fund its election promises, unlike in Nigeria when the government would denied numerous promises or saying because of the previous government misdeed, they on their part, cannot fulfill those promises. Magufuli made surprise visits of government offices as his trademark, to project his looming presence and to instill discipline and accountability among his citizen, but in Nigeria, it is #ChangeBeginsWithMe. What even made people debating or making jest of Magufuli was his effective stunt in leading the country in cleaning the streets on independence day, 9 December. Not in the way the giant of Africa technically ''celebrated independence day on a low key'' without budget? i guess not. 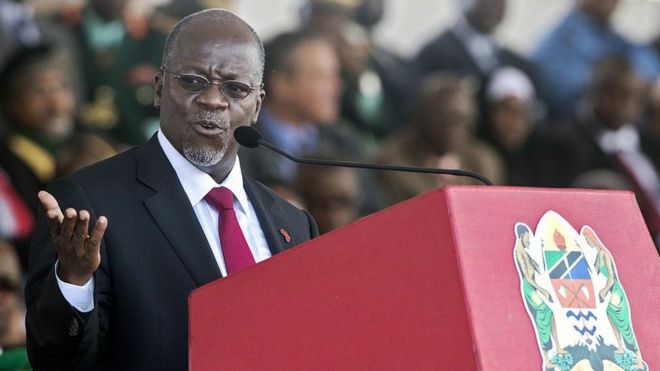 The Tanzania president cancelled the lavish celebrations and used the allocated funds in public hospitals. Tanzanians, due to Magufuli effect, now resuming on time, making sure that they also follow his cue, to the extent that one top local official, wanting to impress, ordered the police to lock up workers who had arrived late for a meeting. "They are now more willing to do their jobs and are afraid of engaging in corruption. People are experiencing better services in hospitals and schools," he says. The president's main promise of extending free education to secondary school, which came into effect in January, has also been well received, he added. 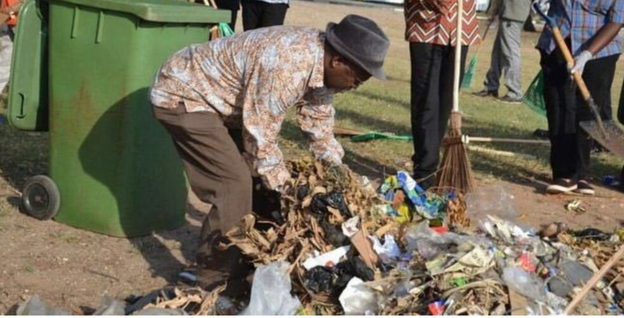 This act boosted his reputation among East Africans, inspiring a hashtag on Twitter; #WhatWouldMagufuliDo which was widely used in neighboring countries. The Nigerian government, also made some progress in fighting boko haram and some little effort in reducing corruption, but by the current leadership promises and overwhelming support, there is still a long way because to fight corruption, should not be on the pages of news paper. Nigeria's external debt as at June 2016 is $11bn. President Buhari wants to borrow $29.96bn, this will quadruple our external debt in four years, bringing it to $42bn. There is a reason to be worried. This year government plans to borrow N2.2tn to finance the budget. Another N2.7tn is planned for next year. If Buhari goes harder on this feat, he would double the national debt in three years. This is happening without revenues moving up at the same pace. The challenge with external debt is the currency risk. If foreign currency inflows stall ( as they currently do) due to oil price and production levels, there will be repayment crisis. I am worried at the size of the debt. Nigeria ratings was further downgraded in junk category recently due to high cost of debt servicing as a ratio of revenues. Nigeria spent $12bn to exit the Paris club and just imagine what that could have done for us as a country. Every debt is a burden on future revenues. This is why this government opaque structure helps no one. If you are seeking external debt, citizens should have a definite list of the projects, a cost-benefit analysis and also how does such projects plough back FX into the country. I mean these projects must have direct link to a proper export diversification plan. However, this government prefers press release. Give us list of projects, they do press release, setting their own narrative. Give us 2016 budget performance report, they do another press release. Give us which capital projects that you released N753bn for, another press release of broad numbers. Press releases are NOT transparency. Why is government always afraid of enlightened citizens? Why don't they get it that transparency is needed to build trust. Why can they just go rigorous work of really convincing people that this loan is really worth it with deep analysis. We are told to trust this government that it won't steal public funds but I don't trust them not to make stupid decisions. This is why transparency is vital. Government keeps pushing mediocrity, trying to withhold superior information that can make its case better to citizens. This is why we are still here. That's why it sounds unbelievable when government postures to fight corruption but can't be radically transparency. When we understand the context that Nigeria wants to spend more than its external reserves in two years, we will appreciate why so much caution is needed. The tacky presentation without full blown debate or rigorous scrutiny shows the anyhowness in government. The senate rejected Buhari’s request for authorisation to borrow about $30 billion. I am looking forward to the re-submission by the President. I think NASS should approve only $10bn and lets go and sell down out share of JV for the rest. Our electoral cycle is short and this is why we need more serious thinking. In 1979, we started borrowing big to build Ajaokuta, Rolling mills, only to abandon them later. That's the political risk when institutions are weak. Our generation had to pay that through 2005 exit from Paris club. A whooping $12bn. That's why we need caution, I am equally afraid wrong ideas and corruption right now.